This bean came to my attention a couple of years ago. 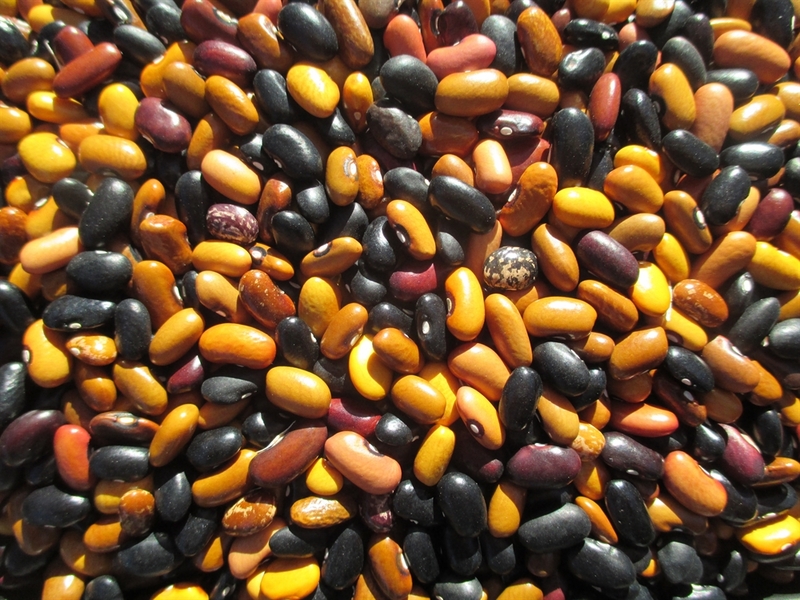 It is the breeding work of Carol Deppe; a cross between Black Mitla (a common bean, Vulgaris, and not a tepary as some have reported) and Gaucho. A grex is “a variable interbreeding population of plants derived from a cross,” and has more diversity than a regular variety. The primary function for me is that this variety should be more tolerable of excessive weather conditions and have a degree of disease resistance. Indeed, this first season of growing this variety was punctuated by drought conditions the first half of the season, and record rainfall the second half. 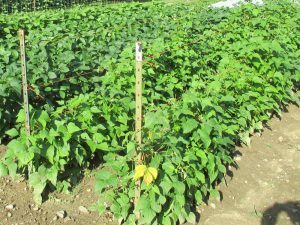 Beefy Resilient Grex survived, flourished and produced a nice harvest of dry beans. These are a half-runner type and need a modest system for support, similar to Pinto and Black Turtle beans. They are also quite early. I planted at the end of May and harvested my first dry beans on August 7th (approx. 80 days). 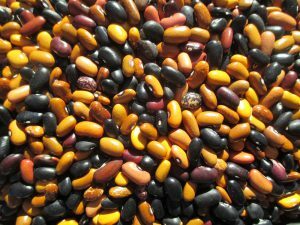 These are suitable to grow as a stand alone variety with excellent flavor, or they can be utilized as breeding stock, from which to select new varieties. Either way, this dry beans shows a lot of promise!